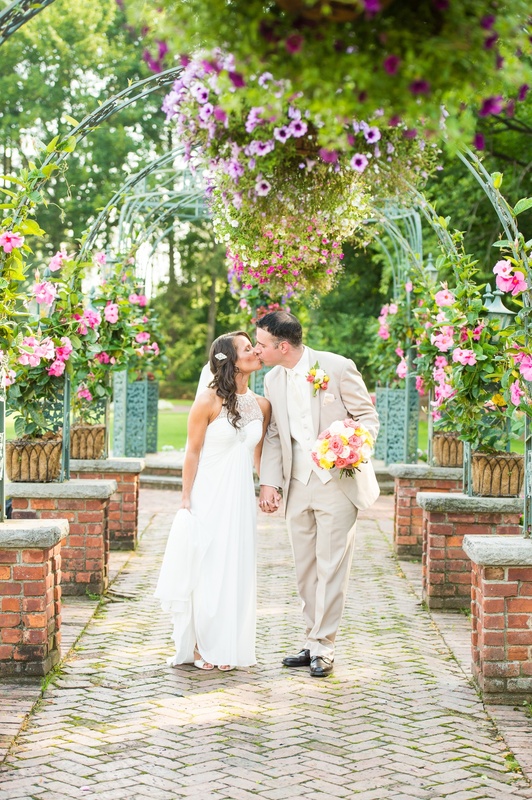 Maria and Keith had a stunning garden wedding at The Manor in West Orange, New Jersey. The weather was perfect. 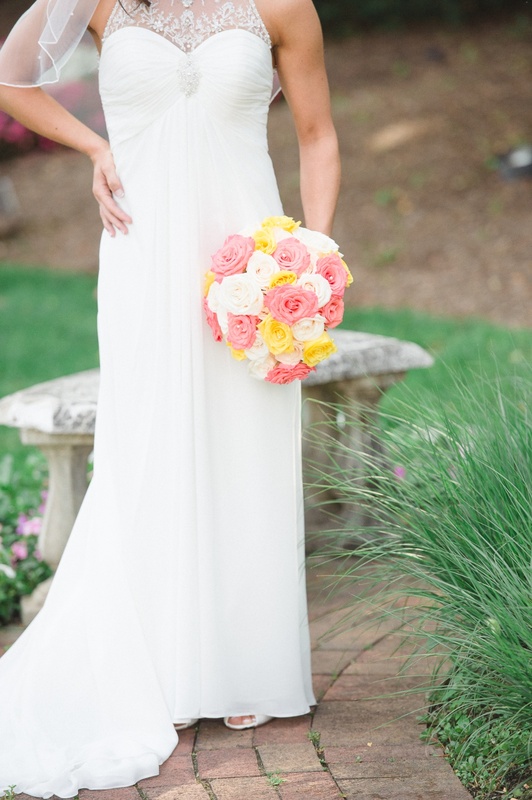 The bride Maria looked incredible wearing an elegant and simple gown. 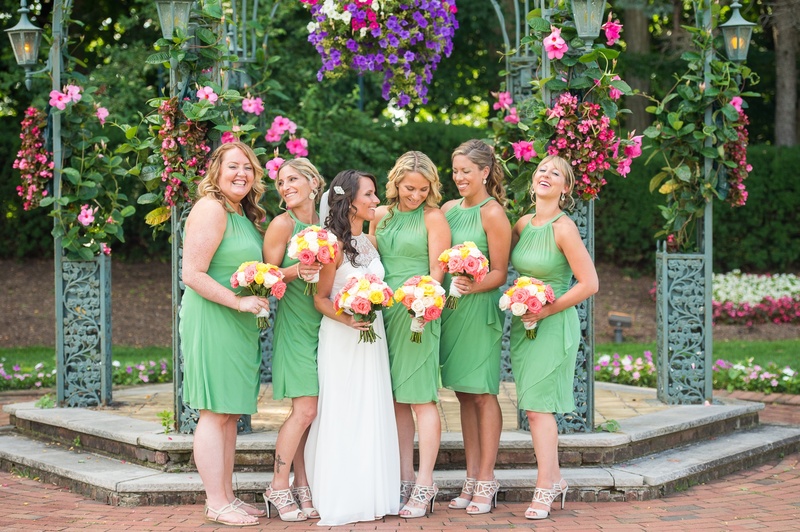 Barbara did an amazing job on the flowers - I really love Maria's bouquet of roses and the different types and colors of flowers around The Manor! There were marble pillars and ivy growing on the side of the colonial style buildings. 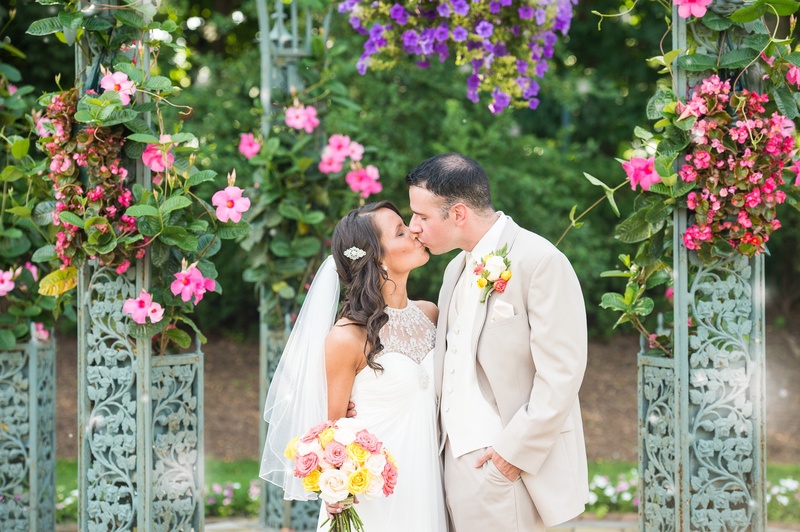 Maria and Keith's ceremony was beautiful as friends and family were there to witness their love for each other. 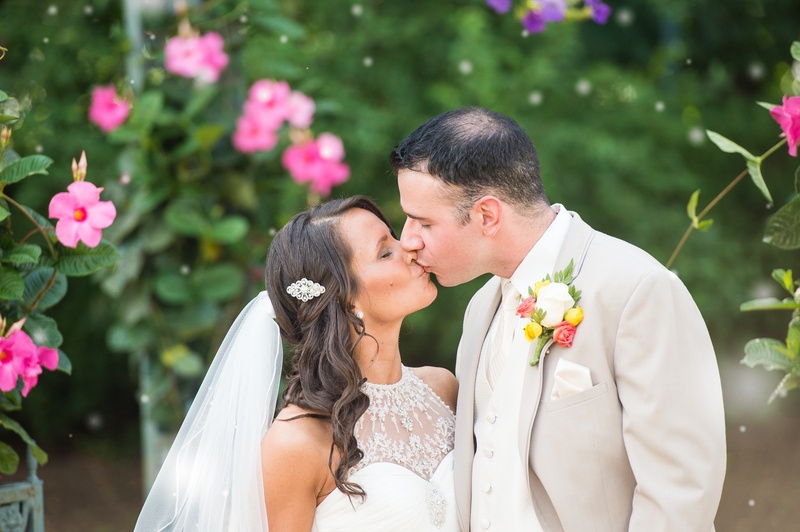 Congratulations Maria and Keith! We are so very delighted that we were able to share this special day with you.